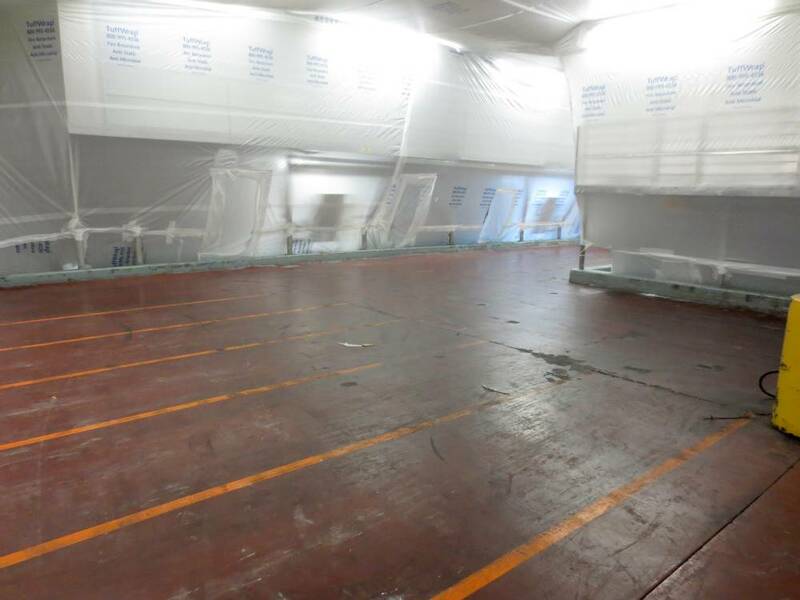 Mixing / Blending Room Floor Replacement Existing floor was worn and spalled from repeated washdowns, steam cleaning and general wear and tear. Ruts were beginning to form along draw lines. 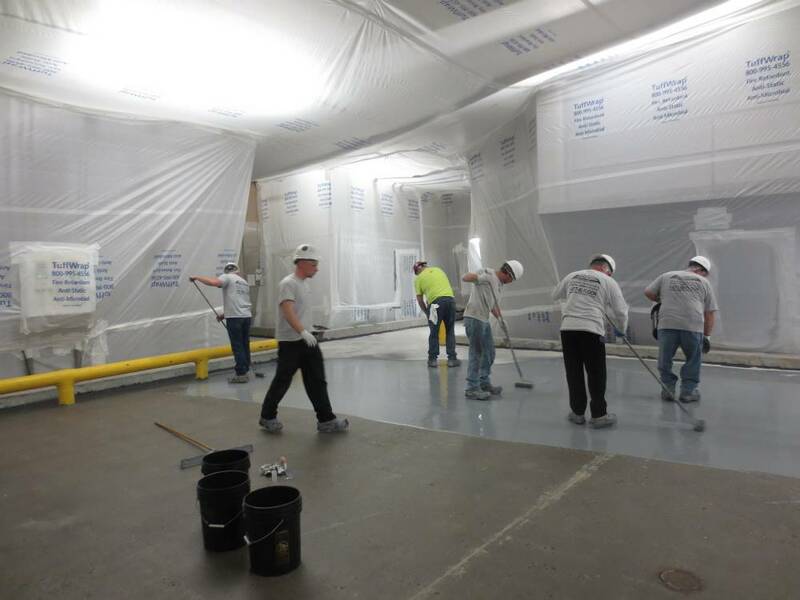 Mixing / Blending Room Floor Replacement Work begins Friday evening. 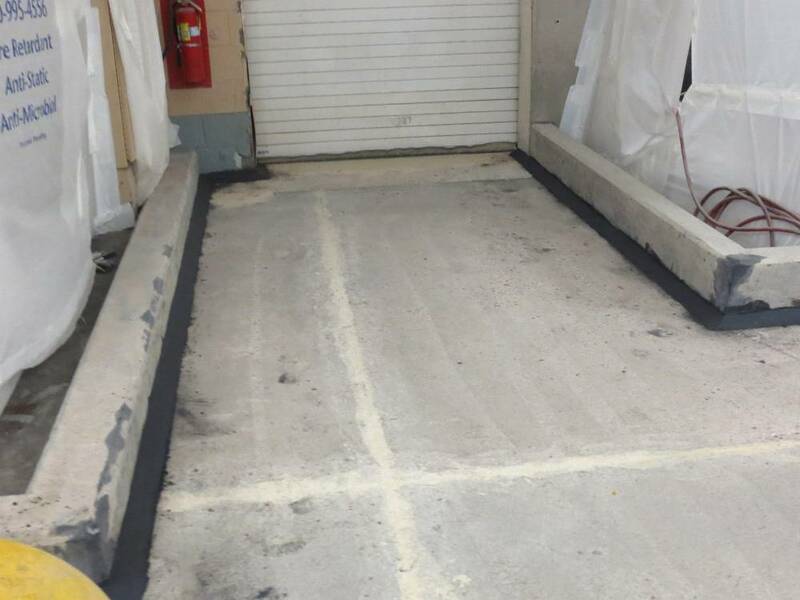 Surface prep included chipping, grinding, shot blasting and scarification. 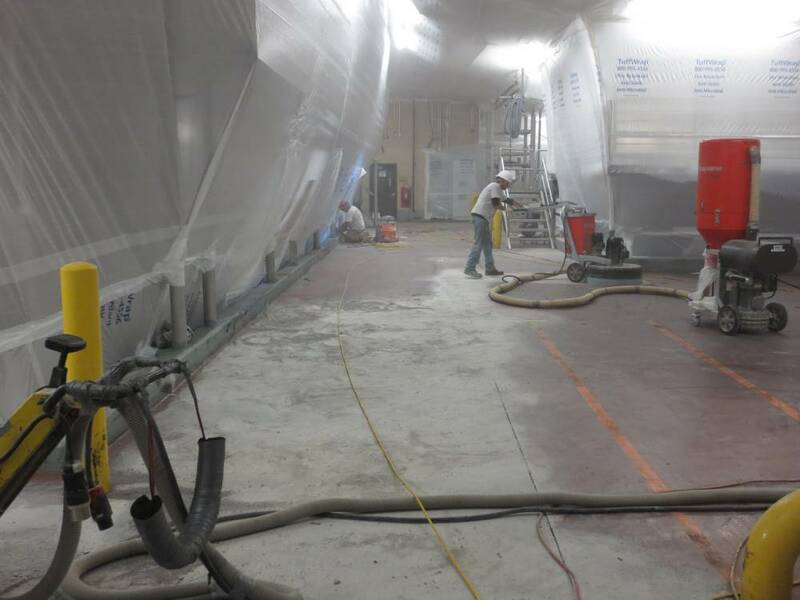 Mixing / Blending Room Floor Replacement Berms surrounding equipment were also prepped and repaired. 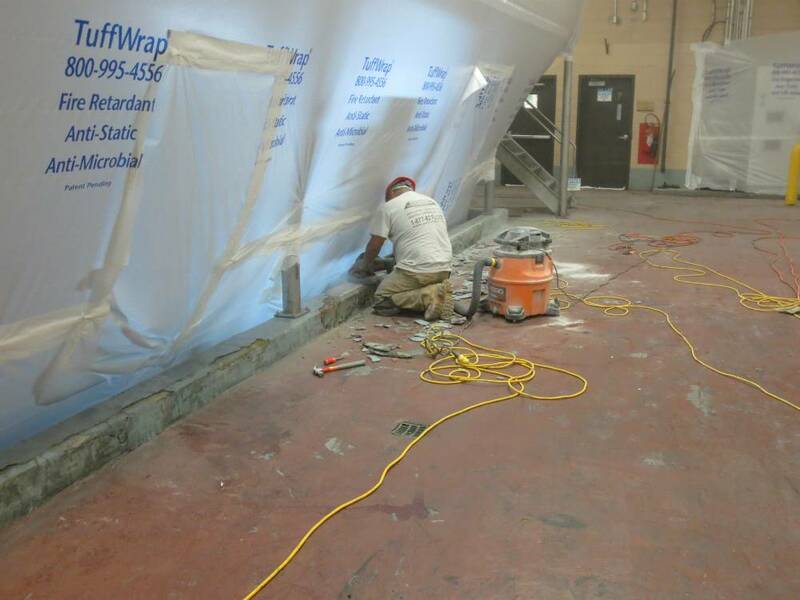 Mixing / Blending Room Floor Replacement Here you can see repairs on the berms and concrete draw lines. 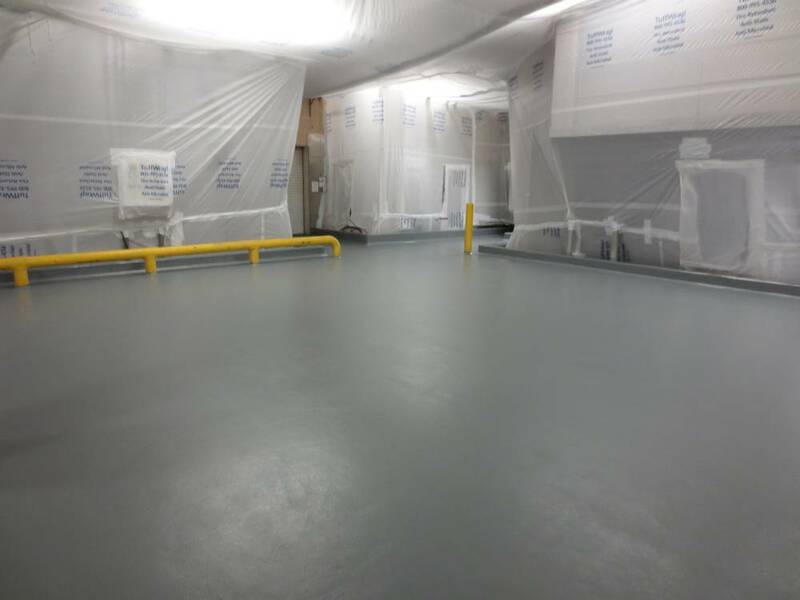 Mixing / Blending Room Floor Replacement Repaired areas of spalled concrete, primed and ready for application of urethane cement flooring. 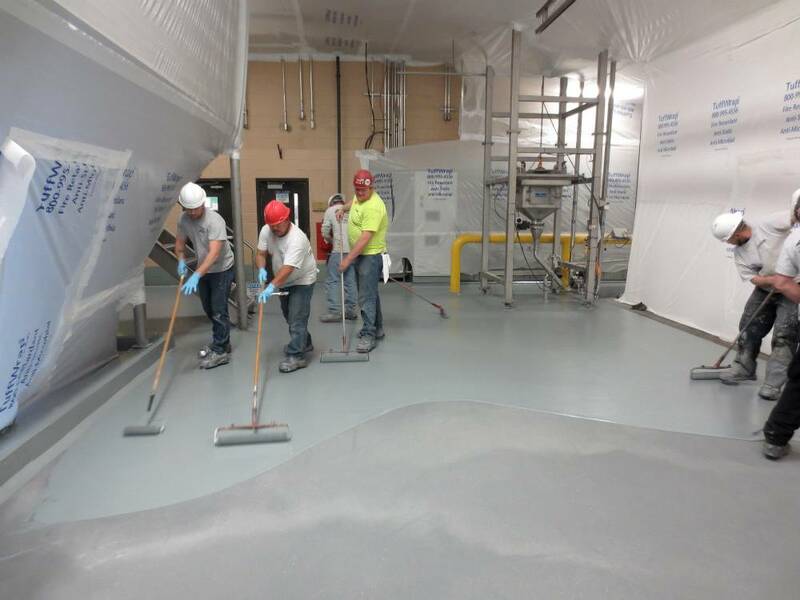 Mixing / Blending Room Floor Replacement PermaFloor's crew at work efficiently coating the area and broadcasting slip resistant aggregate. Mixing / Blending Room Floor Replacement Excess broadcast aggregate is removed. 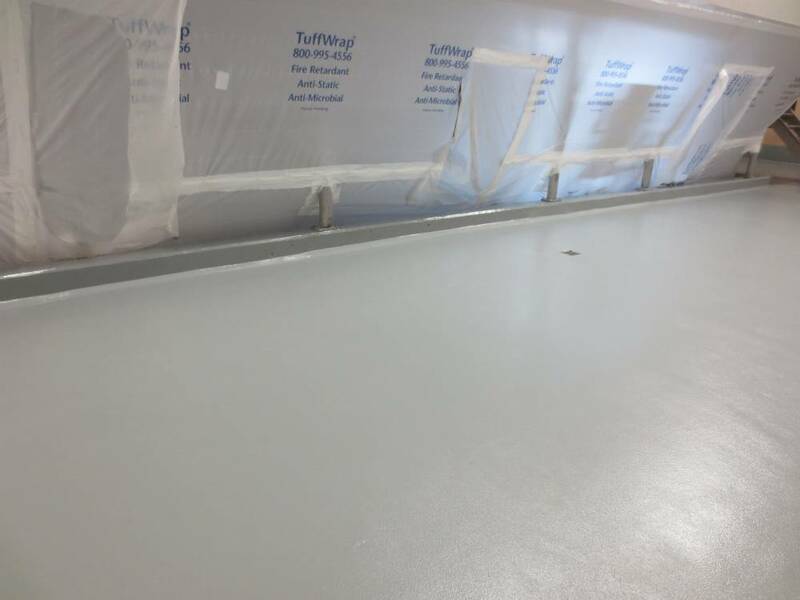 Mixing / Blending Room Floor Replacement Berms are cut in with the final protective finishing coat. 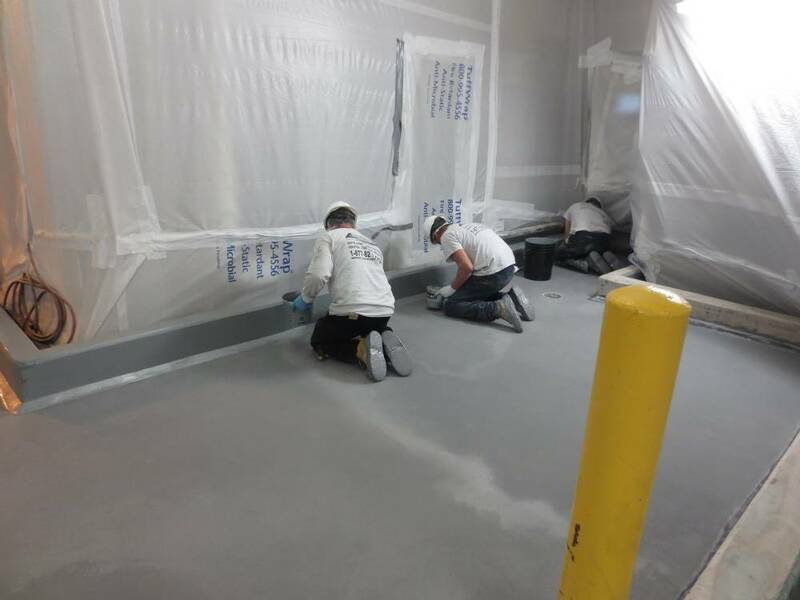 Mixing / Blending Room Floor Replacement Final poly aspartic coat is applied to floor surface, sealing the slip resistant aggregate and adding a final layer of protection. 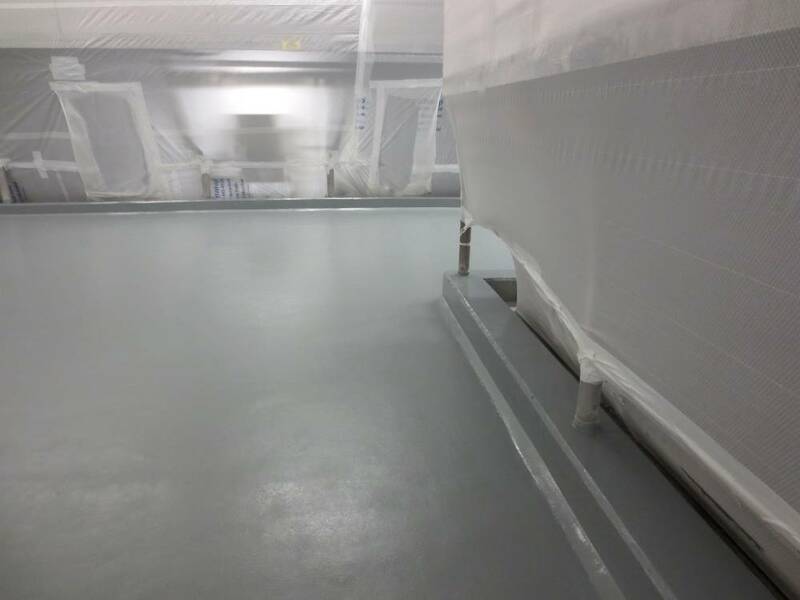 Mixing / Blending Room Floor Replacement A new, level floor surface with good skid inhibition is finished by 10pm Sunday. 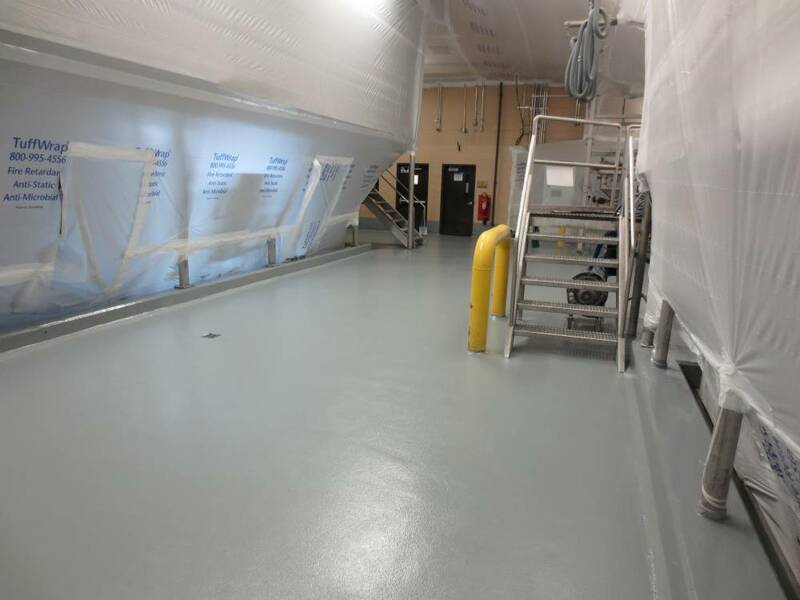 Mixing / Blending Room Floor Replacement This surface will be easy to clean and maintain, and will hold up to thermal shock from repeated steam cleaning. 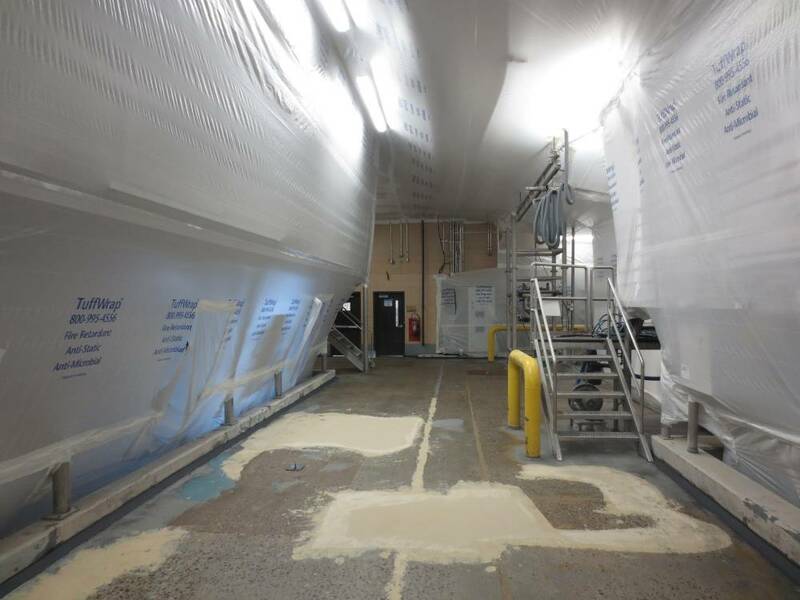 Mixing / Blending Room Floor Replacement No sign of any spalling or damage to the berms. 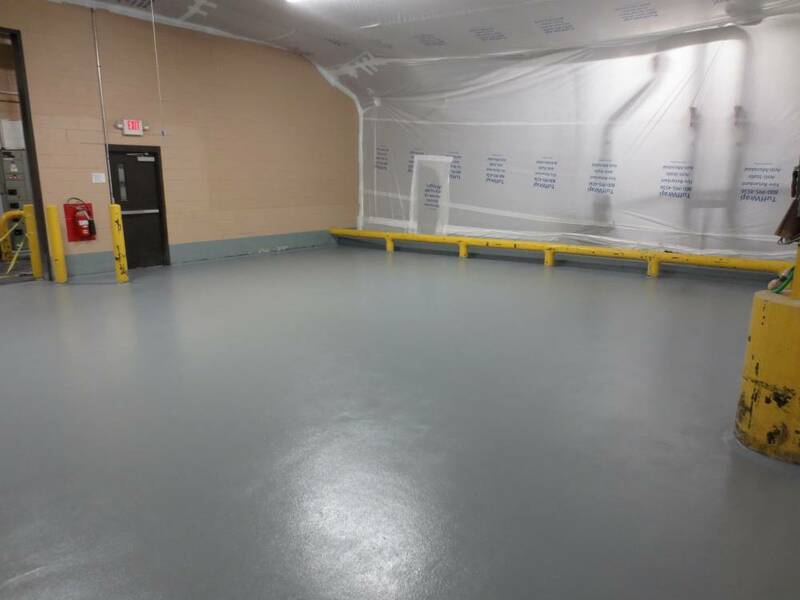 Mixing / Blending Room Floor Replacement Urethane concrete floors also stand up to harsh impacts, abrasion and chemical exposure. 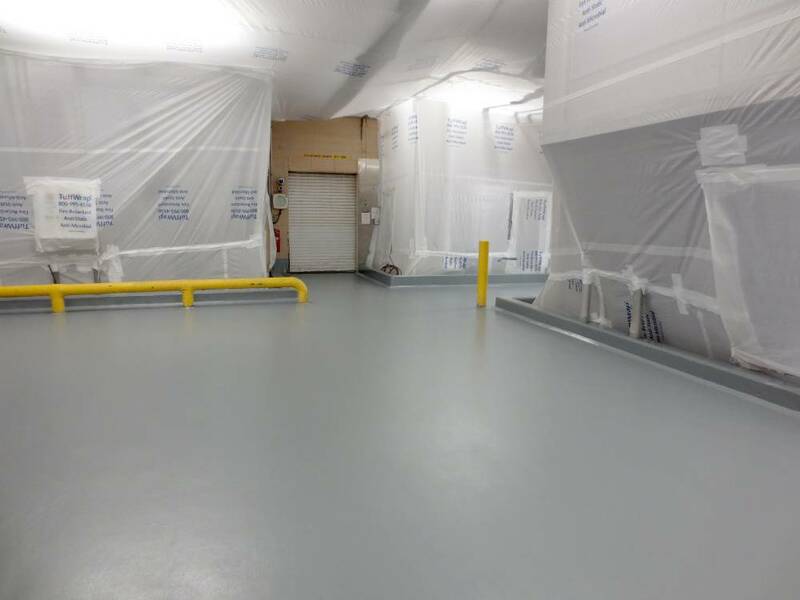 Mixing / Blending Room Floor Replacement Urethane cement systems are fast curing, which eliminates or minimizes downtime. 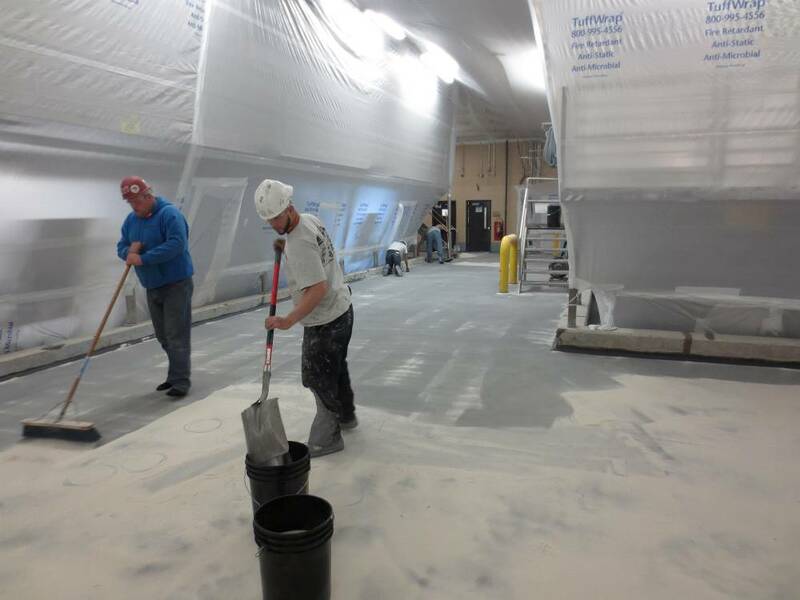 Mixing / Blending Room Floor Replacement The new floor creates a better looking work environment that will stand up to the facility's operating conditions.